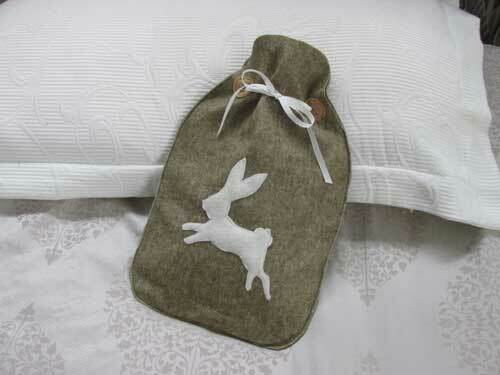 Make a simple felt cover for your hot-water bottle. This felt cover is easy to make; beginner sewers can easily whip one up. 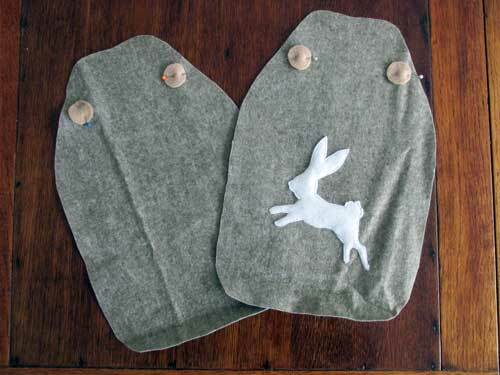 I’ve used a cute rabbit design for the embellishment (download the template below), but you can use any shape you fancy. 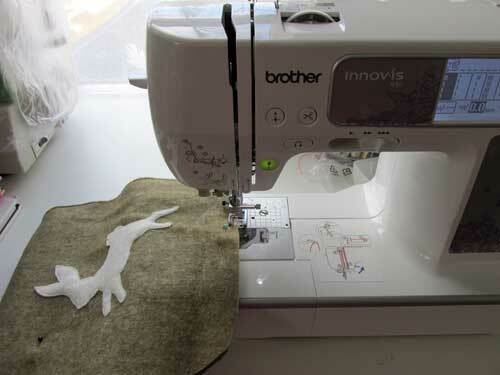 Lay your main felt piece on a flat surface, place your hot-water bottle on top and draw around the shape, allowing for an extra 3mm for a seam. Cut out and use this as a template to cut a second piece. 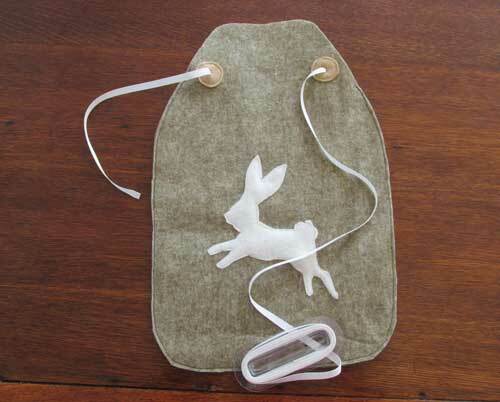 Download the rabbit template (download the PDF here), cut out and use as a template to cut a rabbit shape from the white felt. 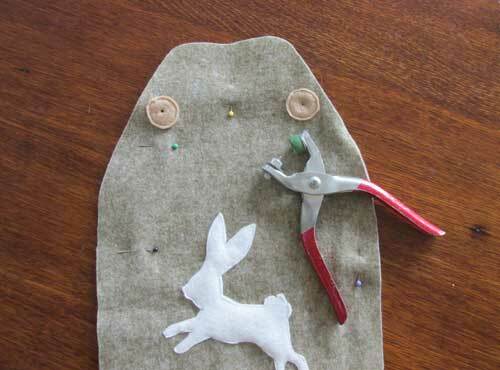 Pin the rabbit to one of the felt cover pieces and, using straight stitch, stitch around it in white thread 1-2mm from the edges. Cut 4 circles from the scrap felt and pin in place at the top of the cover pieces. Stitch around the inside edges in matching thread. Pin the two covers together, ensuing the circles are all facing on the outside, and use a fabric hole punch to punch holes in the centre of each circle (the front and back circles should line up). Sew the felt covers together: sew 3mm in from the edges and stop at the top, just below the circles, to allow the hot-water bottle to be inserted. The top part is left open. 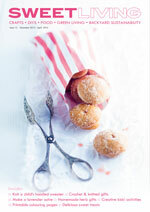 Thread the ribbon through the holes and cut to size, leaving enough ribbon to tie into a bow. 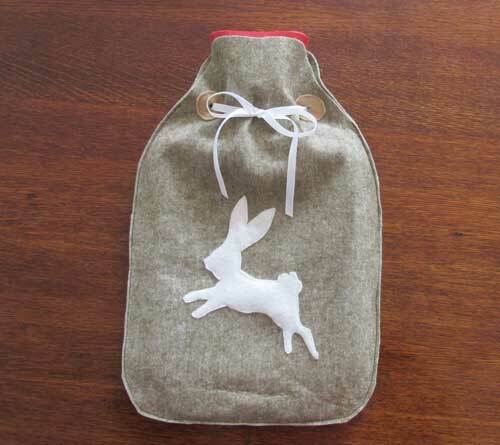 Insert your hot-water bottle, tie your bow, and you’re done!